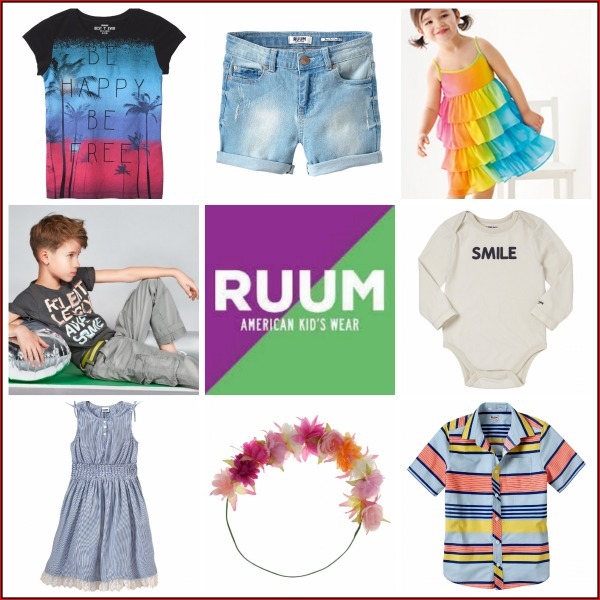 I just love RUUM kids clothing. My kids do too! The styles are super cool and on-trend, while still being youthful, sweet and appropriate. Here are some of my absolute favorite clothing picks currently available in-store at RUUM. I purchased the high rise denim shorts for both my girls. They have an interior adjustable waistband and length that can be bermuda or rolled to mid-length shorts, making for a great summer item that will grow along with my kids. The boys short sleeve button downs are the perfect blend of surfer guy hip but semi-nice for church and summer events. The dresses, accessories, boys’ cargo shorts, graphic tees for both genders and baby clothes are also just fabulous. If you live in the DC area, head over to A Parent in Silver Spring for an exclusive in-store “mention me” code you can tell the sales staff there for $10 off a $50 purchase. Good only at the RUUM Mall in Columbia, Maryland location through June 30, 2014. Disclosure: I am excited to be working with RUUM to provide this discount code and local events for readers. All opinions are my own.